A common feature of many herbs, from lavender to basil, is that they like well-drained soil and full sun. Because of North Carolina’s coastal climate, herbs such as basil can be grown as summer annuals, while herbs that are hardy to zone 6 such as lavender, oregano and even mint can be grown as annuals. Because herbs prefer well-drained soil, herb gardeners in North Carolina’s Piedmont region must amend their heavy clay soil in order to grow herbs. Select a location for your herb garden that receives at least six hours of sun daily. Test your soil before planting herbs in it. A soil test will tell you what percentage of your soil is clay, which amendments you can use to change the soil structure and how much of each amendment to use. A soil test can also determine what your soil’s pH is. Most herbs grow best in soil with a pH between 6.5 and 7. A soil test can tell you what amendments to add to change the pH, as well as when to add them and how much to add. Purchase soil amendments based on the recommendations made after the soil test. Common amendments for North Carolina Piedmont soil include peat moss, compost, manure and lime, which raises the pH of soil. Break up soil by inserting a spade into the ground to a depth of 8 inches and working it back and forth to loosen the soil. Spread the soil amendments to a depth of 4 inches. Mix the amendments with the soil using a rake. Make furrows in the soil with a rake or garden hoe to plant herb seeds. Plant the seeds approximately two to four times as deep as the width of the seeds. Cover the seeds with soil and water. Dig planting holes for bedding plants that are twice as wide but no deeper than the plant's root ball. Place the root ball of the plants into the soil and cover the root ball with soil, tamping it down firmly. 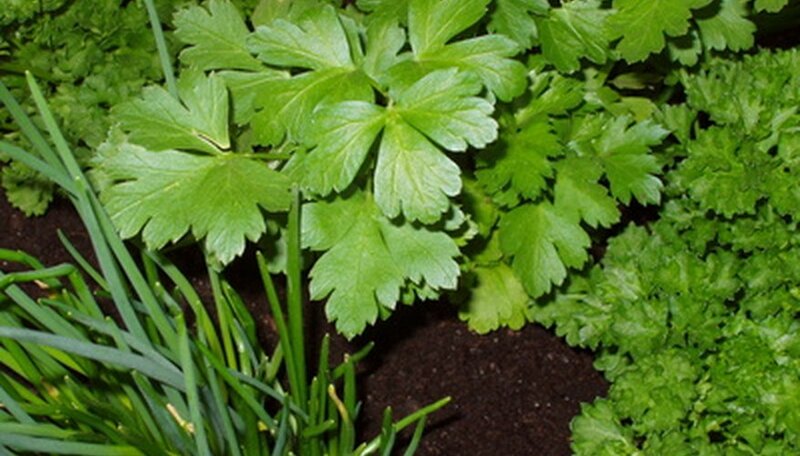 Check your herbs twice weekly and water any time the soil becomes drier than a wrung-out sponge. North Carolina gardeners can also grow herbs in raised beds or containers. North Carolina State University maintains a soil testing facility in conjunction with their community and continuing education program. You can contact your local extension agent to receive information on the preferred method of taking and submitting soil samples, including paperwork and fees.